Huawei exec Richard Yu raised some eyebrows (and Nokia’s stock price) Tuesday with his musings about a possible acquisition of Nokia if the Finnish company were amenable to such an idea. And while Huawei quickly came out to say that Yu was speaking only philosophically and that it had “no plans” for such a move, you can see why the idea stirred some chatter. 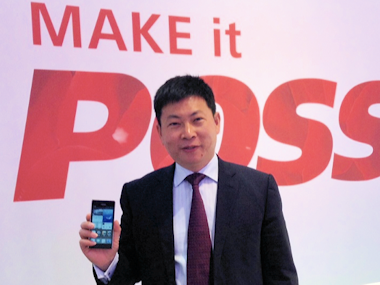 Speaking with reporters ahead of the U.K. debut of Huawei’s latest flagship smartphone, the Ascend P6, Yu, chairman of the company’s consumer business group, said Huawei might consider buying Nokia if the situation were right. Nokia’s American depository receipts climbed as much as 12 percent to $4.12 in New York after the Financial Times report, but they slipped back to $3.86 by the close after Bloomberg reported Huawei’s position on a potential deal.